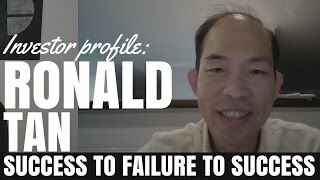 Today we talk to Ronald Tan about his investment journey. From his early successes, to being swindled by a developer to investing again and doing it right this time around. One of my absolute favourite things to do when running On Property is to talk to my listeners, talk to my readers about their investment journey. To hear about the successes, to hear about the failures that they’ve been on. Today, I have for you a really exciting investor profile with an investor named Ronald Tan. Ronald has been through so many different things over his investment career, which has spanned I think it was something over 20 years. He’s had great success in his early purchases to being swindles by property marketers offering him overseas property. He’s had some great successes, some great failures and then come back and had some successes again. So it’s really great to hear this story with Ronald and I think it’s going to inspire a lot of you. Now, please note that there was a bit of lag between the conversation over Skype so sometimes we do interrupt each other a little bit or if there’s longer than average pauses, that’s just because of the delay in terms of the signal going through. A really great interview. Thank you so much, Ronald, for coming on and sharing your story and I hope that this inspires you guys. Ryan: Hey Ronald, thanks so much for coming on today. Let’s go back to the beginning your investment journey. When did you first invest in property and what made you decide to invest in property in the beginning? Ryan: It doesn’t sound too different from today, really. Ronald: Yeah, yeah, it is. For the un-initiated, I guess. So that’s how I first went into property. 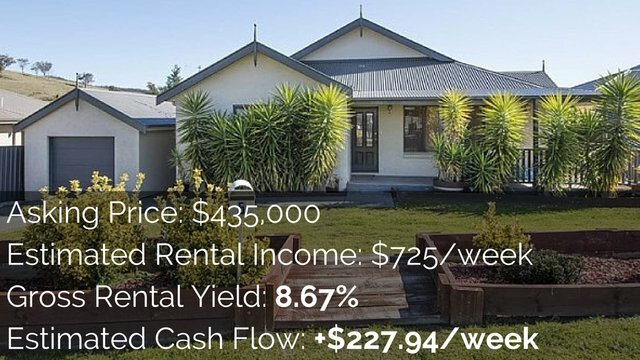 The first investment property that I bought apart from my own home was basically with the intention to just rent it out, but at least in those countries, it is still more or less positive cash flow, so it’s not too bad. Ryan: So was your investment property in Singapore? Ryan: Okay. And do you still own those properties today or have you sold out and you’re now in Australian market? Ronald: No. I sold that out a long time ago. In fact, slightly 2 years after I acquired it. I think I bought it at $325,000 and sold it 2 years later for $520,000 or something like that. Ronald: Yeah, that’s pretty good. And then, I made the next mistake after that. Ryan: Okay, so you had a very successful first one. And then, you said you made a mistake on your second one. What happened there? Ronald: Well, I guess, because at that time, my ex is the sort of person that likes to spend money. So if I have the proceeds of the fist property, I thought I better buy something else before it gets spent. At that time, I have intention of probably in the future of migrating so I happened to go to one of those exhibitions where the marketers was presenting foreign properties for sale. And then I bought one of the plan there. Obviously, the price was highly inflated. Ryan: Yeah. Which country was this in? Was this in Singapore still or was this – you said “foreign investment”, so was it in another country? Robert: The property was in Perth, actually. So, I was buying it from Singapore. It was just a 4×2 built by a company called [inaudible 4:56], which I think about 15 years ago, they’ve stopped operating as a builder. I think the price is probably maybe 40% more than what you would have paid if you were to buy locally. Ryan: Oh no. That’s horrible. Is this standard? Does this happen overseas? That marketers will go overseas to Singapore, to China, etc. and market these Australian properties at extremely inflated prices? Does that happen a lot? Ronald: Yes. It happens all the time. Obviously, how it works is that this marketers will link up with a local real estate agency. Obviously, they need the local contact to setup all the fancy brochures and the exhibition facilities and things like that. I mean, being marketers, they always promise you a lot of things and they say, “Oh, the freeway is going to come by in 2-3 years.” and knowing what Australia is like, you know, 3 years can become 10-15 years. What they never happened in [inaudible 6:19]. Ryan: Oh. Well, that’s sad to hear. I’m sorry that you got, basically, conned by marketers. I think people should learn from that and be very careful. When someone is promising you the world. If it’s too good to be true, it probably is. Ryan: So you purchased that property that was you said you paid over 40% more than what it was worth, how long did it take you to work out that you had made a mistake? Ronald: Oh, very quickly. Obviously, as part of the sweeteners, because they over-inflate the price, they can afford to give you a free ticket to come to Perth to look at the property when it was completed. So, when you come over and then you look at what they actually were marketing those properties for any locals here then you know that it is way too much that you paid for. Ryan: And how did that feel to come to Perth and to be like, “Okay, I’ve just been taken for a ride, basically.” It must have been hard for you. Ronald: Well, yes, especially when you were trying to plan the migration to the country and you sort of know that you can’t cash out at the moment because you tend to lose a fair bit of money. So the first 2 years when I first come to the country was a little bit hard. It was in 1996 where job market wasn’t very good as well. I think with that property, they also promised you a first 2 years renter guarantee and, as you know, with the inflated prices, they sort of subsidized the rental. That’s why they can give you a high rental, but after the 2 years, obviously, rental then falls back to what the market was paying at the time. Which is way below your cost, so it’s basically then negatively geared. Ryan: Yup. So do you still own that property today or did you eventually sell it to get rid of it? Ronald: I actually hold it for 2 years because when I first migrated, I didn’t really get any proper employment. So that was a little bit tough. Eventually, when I can, I sold it. But it was sold, obviously, at about 40% less than what I paid for. Because the market at that time was pretty bad because of bad employment. It’s some kind of similar to what we are experiencing in Perth at the moment. Ryan: Yeah. I can imagine wouldn’t have the courage that you had to actually go ahead and sell a property and lose 40% of the value. Most people would kind of just hold on to it, hoping it will go up in value over time. What motivated you to say, “Okay, I’m going to sell this property.” and how did you move on from that? Ronald: I guess, for me, that has been the story of my life. 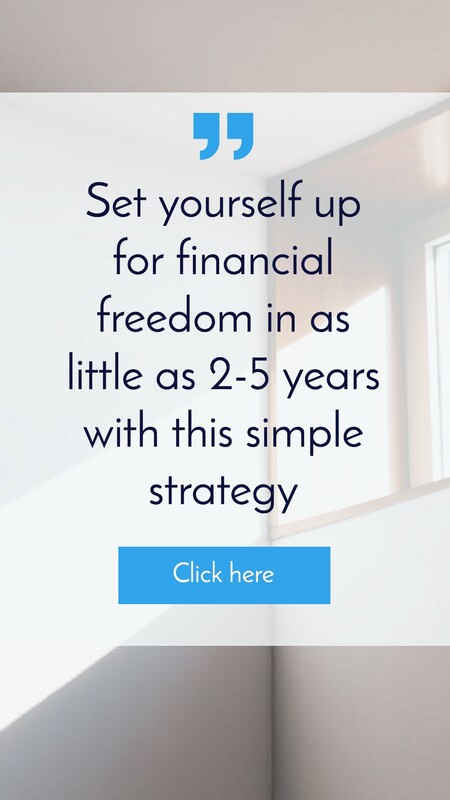 If I feel that going forward, there’s no quick gain or anything in the foreseeable near future, then holding on to a property like that – that is negatively geared and you don’t have any proper income to gear it against, is not a good decision. It just increases your loss. So rather than, keep doing that, sometimes it’s better to just draw a line in the sand and just write it off. Ryan: And then, how did you move on from that? How did you get back into the market after that? I’m guessing that you learnt a lot from that experience to never go through that again. Was your next purchase, I guess, a more educated, more thought out one? Ronald: Yes. From that lesson, I always advise my friend, if they intend to buy a property in a foreign country, forget about the marketers. Don’t ever go to exhibition. Rather, fly over to the country, especially if you have a friend there that is doing the scouting for you. And then, look at it yourself. Do your research and pay for what the local usually pay for. Ryan: Yup. And I think that’s good advice. Ronald: After I sold that property, the next one I acquire was when I have some proper employment and it was the year 2001. Where if you buy almost anything, you’ll make money. So I bought 2 properties there. A 4×2 house in the suburb in [inaudible 12:08] and a 2×1 apartment in Wembley. I kept that for a few years and make some money out of that, not on the apartment. The apartment market sort of tell me that, “Oh, yeah. There’s too much of a hassle.” because most of the owners of the apartments are investors and whenever the strata management wants to change any bylaws, you can never ever get enough people to attend the meeting for the quorum so that was a little bit of a waste of time, I guess. Ryan: So did you learn from investing? So you purchased one house, you purchased one apartment and you found the house much easier to manage because you could make decisions yourself. You could do what you want with it. Whereas with the apartment, you didn’t really have control because you had to wait for other people’s decisions and those people might not even turn up at meetings. Ronald: Yes, that’s right. Basically, yes. Ryan: Does that mean, do you not invest in apartments now because of that experience that you’ve had? Just too frustrating? Ronald: I wouldn’t say that, but I think based on my current knowledge and analysis, probably we are going into a period where there’s oversupply of apartments because there has been quite a fair number of new first time developer coming into market. A lot of them got so obviously through professional companies that do subdivision that say, “Oh, yeah. If you build more, you do this, you’ll make more money.” but that is not always the case. You have to build what the market wants, not what the builder ask you to do. Ronald: Especially with the Perth market at the moment, apartment is definitely very risky. Ryan: Yes. From what I hear, it’s similar in Brisbane. That there’s going to be, or there already is, an oversupply of apartments, but that houses look like a lot better investment. I’ve even heard a similar thing about Melbourne moving into the future, as well, that just like you’re saying, more and more developers are building apartments, whether or not people actually want them and need them. That’s a different question. Ronald: Yeah, that’s right. That’s my analysis of things at the moment, yeah. Ryan: Okay. Wow, you’ve had quite a journey already. We’re currently only at 2001. You purchased 2 properties in 2001. Did you say you sold those a couple of years later? Ronald: Yes. I sold the apartment first after about 2 years. Obviously, because I left my employment then and I was sort of like self-employed so dealing with day to day cash flow is then important because you are running a business so with the apartment not really bringing you very much in terms of cash flow so that has to go. That apartment, I kept it for 2 years. The market wasn’t moving very much. Ronald: Yeah. Because I need the money to pay off the loan for the purchase of the business that I was running. Ryan: Yeah. So, 2001, you purchased these 2 properties. You sold the apartment a couple of years later. The house a couple of years after that again to pay off a business loan because you had purchased a business. Does this now put you in a position – what are we talking, like around 2005-ish where you’re back down to having no properties at all? Ronald: Yes. Apart from the house that I’m living in, yes. Ryan: Yup. Since then, have you gone ahead and grown your portfolio again? Ronald: Okay. Since then, I went through a messy divorce. Ryan: Sorry to hear that. Ronald: Most of what I accumulated. Yeah, she wasn’t a very rational person. So that was difficult then. So I’ve just come back into the investment market again recently. In fact, less than a year ago. First investment property that I bought again is a commercial property and that gives a pretty good cash flow. Now, I’m with better knowledge. I attended a developer course and currently, I’m undergoing property subdivision, which is just a simple splitter. Ryan: So is this a commercial subdivision? So you purchased a commercial property and you’re subdividing that commercial property? Ronald: No, no. The commercial property is just purely for rental with a long new lease. The subdivision is on a residential property. Ryan: Okay. If you don’t mind, can we talk a bit about the commercial property? I was just going to say, can we talk a bit about the commercial property because a lot of people get very nervous about investing in commercial property. They feel that it’s very different to residential or they’re scared that it can be difficult to get renters. How was your experience purchasing a commercial property? Is it a lot different to residential? Ronald: Yes, it’s a lot different, but I think before I go on to that, maybe I should also say a little bit of – I would have gone into commercial property back in 2001 if the bank mortgage broker didn’t discourage me from doing so. Because back in 2001 when I was trying to buy these 2 investment property, I came across a small office space. I think it was only about 37sqm that was only selling for like $35,000 or something. I tell myself, “That sounds like a pretty good investment.” But the residential mortgage broker of most banks sort of discourage you from buying it because I think they are more geared towards renting to residential property because he sort of told me that, “Oh, if you buy commercial, the loan is not as easy to get approved and this and that…” I guess, on hindsight, that wasn’t a good advise because he’s probably looking after his own interest. If I look at the similar sort of property now, those sort of office space would be worth something like $350,000 so it would be a 10-fold increase and being a commercial property, it would have generated you a very nice cash flow with outgoing paid for by tenant. Ryan: Oh my goodness! Wow! Ronald: So with the commercial property purchase, obviously, is a lot different from a residential purchase. Meaning, the finance company would normally charge you for everything, including a professional valuation, legal fees and all that. Where you normally don’t pay when you’re taking a residential mortgage. The upside to buying a commercial property, obviously, is that the tenant pays for all outgoings, including rates and everything else. So that gives you a pretty good cash flow – normally. Ryan: So with the commercial property that you did purchase, did you buy – was it a shop on a street? Was in an office? What sort of commercial property was it and was it difficult to find a tenant for it? Ronald: The commercial property that I bought is actually a cafe. I guess, the good thing about this purchase, obviously, is that it already comes with existing lease, which is what you normally want, especially if it’s a new lease. It’s a 5+5+5 option with the tenant only signed the lease only a few months ago. So that sort of give you at least certainty for the first few years. So going into the investment, I sort of had a thought about it and I say, “The biggest risk to me now, having purchased this property is probably interest rate changes.” Obviously, fixed term rate that is normally about 2-3 years always gives you the best rate so I decided to fix the mortgage for 3 years, so that was a good move, obviously, because after that, APRA start increasing the interest rate [inaudible 23:29] for investors. So I locked that for 3 years, so that gives me at least certainty for the first 3 years. Ryan: Is this property positive cash flow? Does it spin off positive cash flow for you and was that a main reason that you chose commercial over residential? Ronald: Yes. This property gives me a very good positive cash flow because the return is somewhere close to 8%. Yeah, with everything all outgoings paid for by the tenant, so that makes it a very good positive cash flow, yes. Ryan: Yup. Why do you think more people don’t invest in commercial property if it does have these benefits? Like, you’ve got a tenant that’s signed a lease for 5 years, plus with option to add an extra 10 years onto that. So you’ve got kind of like security of income there, you’ve got positive cash flow, they’re paying for outgoings. It sounds like a pretty good deal. What do you think it is that holds people back from investing in commercial instead of residential? Ronald: I guess, most of the time, it is through lack of knowledge. Most of the time, if they speak to the wrong broker, which is more geared towards residential mortgage lending, then they’ll probably persuade you not to buy commercial and buy residential instead. If you allow people like that to persuade you without doing your own research, then fear would normally come in. Usually, it’s the fear of the unknown. You see, most people will say, “Oh, yeah, it’s too hard.” Among all the friends I know, they probably know quite a few friends who own residential investment property, but hardly any would have owned a commercial property. So it’s basically lack of knowledge and fear. Ryan: So I guess, if people wanted to invest in commercial property, first tip would be don’t go and see a residential mortgage broker because they get paid commissions for getting you a loan and if they don’t know how to get a commercial loan, it’s going to be difficult for them to get paid. So maybe try and find yourself – did you find yourself a commercial property broker or did you end up going to the banks directly? Ronald: No. When I was about to buy that commercial property, I actually asked the agent who was the one selling the property. He was the one that was previously managing that property, anyway, if he has any broker to recommend and he given me the contact of this broker, which is pretty good. In fact, he has also helped one of my colleague who made a mistake, buy one of those apartment, but it Melbourne, save like $5,000 a year of his investment mortgage. Ryan: So is you plan now, moving forward, you’re talking about you’re a part of better knowledge, which I haven’t heard of before. I don’t know who they are. Are you now looking at investing in residential again and doing subdivisions? Is this your plan moving forward? 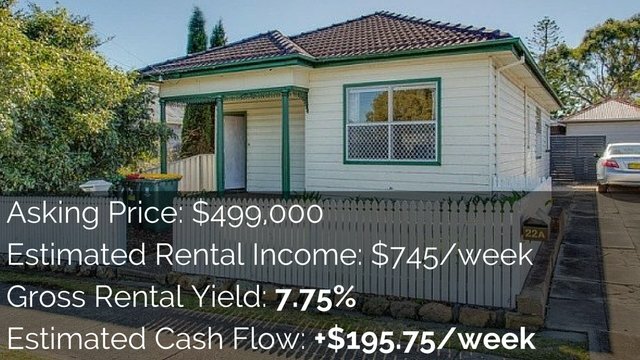 Ronald: After buying the commercial property, I was looking around the Perth market on what next best to buy and after analyzing different scenarios, as you know in the Australian market, it’s very hard to find positive cash flow property unless you want to move into some country town somewhere. And given the tight lending condition, the banks sort of view that as a higher risk kind of mortgage. For certain towns, they have requested a higher percentage of deposit as well. Having said that, my rationale for the Perth market is that avoid the apartment market altogether and the best investment is to subdivide and sell the land because there will always be first time buyers that is interested to build their own first home. If you can price your property below what the developer is selling, then you have probably a competitive advantage. Obviously, location is important, so you have to do your research. Ryan: So you’re saying purchasing a property that has an existing house on it, subdividing it and selling off the land? Is that the plan? Ronald: Well, that’s my plan at the moment. I guess by doing that, property comes in cycle. In WA, especially, it is very related to the commodity cycle. If you are able to acquire a number of such property and overall not be a negative cash flow, then you have the capability of holding on to this property. So no matter how long it takes, 7 years, 10 years, eventually, commodity price will go up and with it, in the WA market, the house price will go up with it. So that would be the time then to consolidate your investment. Ryan: So you’re saying, I guess, given this period at the moment, where house prices in the WA market aren’t seeming to boom, the goal is to acquire more and more and then when commodity prices go up and WA prices go up accordingly, that’s when you would go ahead and subdivide and sell off some of these properties to consolidate down and lower your mortgages and stuff like that. Ronald: Not quite like that. The subdivision can go ahead now because all it does it reduce your mortgage on the purchase of the investment property. So as an example, if you buy a property, let’s say cost you half a million or something, usually the land is worth $200,000 over. If you subdivide it, subdivision cost maybe $50,000. You can then reduce your mortgage down to about $300,000, which is a lot less than what the remaining house is worth, usually. So you can instantly gain equity. Ryan: So the goal is to purchase the property, subdivide it, sell of the land, use the proceeds to pay down the mortgage on the existing house and then you keep that as like a positive cash flow property and you don’t have as much debt exposure on that. Is that the plan? Ryan: Okay. And then you can hold them for a number of years and in the future you may want to sell them off. Ronald: That’s right. The intention is to acquire enough of those so that after a number of years, when you sell them off, you still own a few, but without any debt. Ryan: Yup. And then, you’re just getting the positive cash flow from it and you can live off the proceeds from the rental income. Is that the goal? Ronald: That’s right. That will be the retirement plan. Ryan: That’s the retirement plan. How many years do you think more you’ll be investing in property before you reach your retirement goal? Ronald: I would say less than 10 years, hopefully. Ryan: Well, that’s exciting! I hope you do it. It sounds like you’ve had a very interesting journey in terms of the property market. From having a good purchase in Singapore where you kind of didn’t really know what you’re doing, but you got some great growth there. To a really bad purchase from an overseas marketer. And then, you’ve been through so many different things and you’re building up. It’s kind of like you’re starting almost from scratch again from about a year ago when you purchased that commercial property. And now, you’re moving forward. Do you feel like all the lessons that you’ve learnt in the past will help you moving forward? And what advise would you give to people that are looking to start investing now? Ronald: Yes, obviously, all the lessons learned does help you. At the very least, even if you have made mistakes in the past, it sort of help you so you wouldn’t repeat the same mistake. For people who are thinking of going into investment. I think the best thing you should do is do a lot of research. Get yourself a mentor. Whoever it is, it could be a friend or whatever, but make sure that it is not just one of those friend that gives you free advise around the barbecue or something. Make sure he has already been successful doing investing because, well, humans are like that. You need encouragement now and then. Without this constant encouragement, most people tend to not do anything. Ryan: I think that’s great advise. Get around people who are doing as well or who have already done it. Get a mentor who has done it so that you can be encouraged. Because like your situation, where you went to buy the office that was a commercial property and you went to the wrong person for advise and they gave you the wrong advise. Be very careful who you take advise from. So how did you end up choosing your mentor and who to go with? Ronald: I was kind of lucky because a few years ago was sort of like our high school reunion when everyone turns 50. I happen to know one of my schoolmate actually is into investing. So I said, “Well, I think I should speak to him and ask him whether he’ll be my mentor.” Since then, I’ve discovered that he has been very successful with multiple properties all over the world. If you look at his calendar, every 2 weeks he will be off fishing somewhere in certain parts of the world and I believe that is a very envious lifestyle to try to achieve. Ryan: I was just wondering. Because a lot of people would really enjoy to have a mentor. How did you go about asking this old friend of yours to be your mentor? Was he open to the idea and how does a mentor-mentee relationship work? Ronald: Obviously, I sort of know that he was into investing. At that time, I didn’t know how successful he was, but I know he’s pretty successful because whenever you look at his social media, he’s always flying off somewhere. 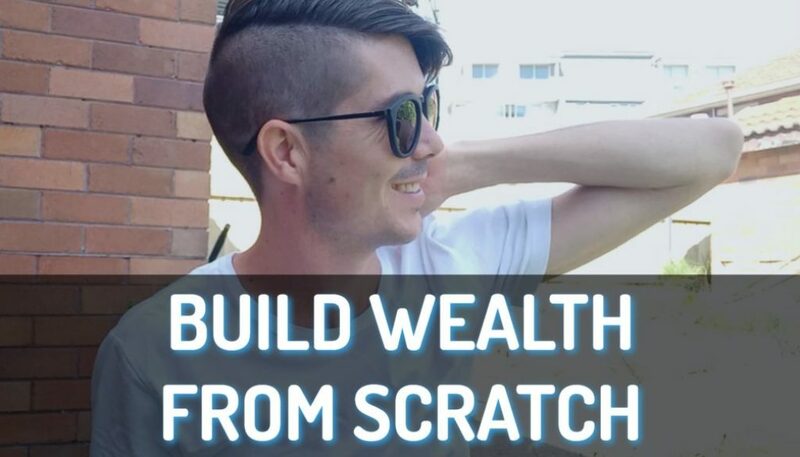 So I just sent him a message to say that I’m thinking of going back into property investing, “Would you be my mentor?” and he said, “Yeah, sure. Certainly. Here are the list of books, electronic books. Go and read them all.” and he has been very helpful. Since then, I’ve known that he had multiple properties all over the world. If you look at his social calendar, every 2 weeks or so he’ll be off fishing somewhere in certain parts of the world and I guess that’s a very envious sort of lifestyle that you would want to try to achieve. Ryan: Yup. Do you and him talk much? Do you talk over the phone or do you just kind of message him every now and then asking questions or asking for advise on things? Ronald: Yeah. Usually, he will constantly send me free resource or a message of encouragement. If I thought out of some other ideas on investing or what not, I will send my thoughts to him for sort of advise and comments and he would tell me, “Yup, it’s a good idea. Yup, go for it.” kind of thing. 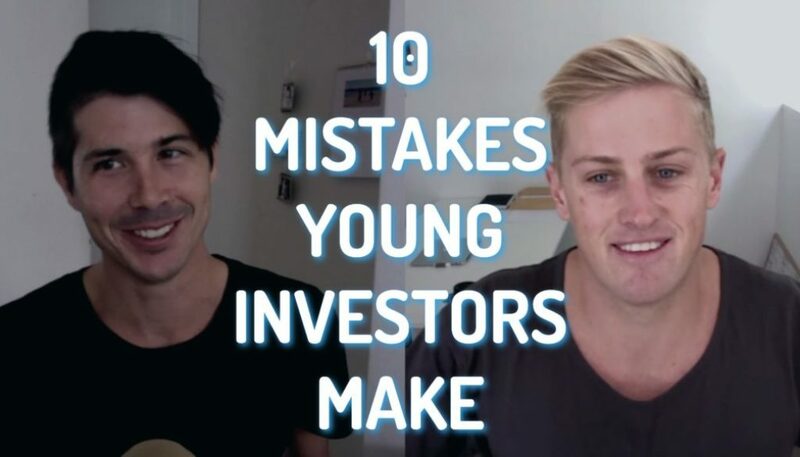 Ryan: I think a lot of people get nervous about trying to find someone as a mentor, but if someone is passionate about investing in property and they do it themselves, chances are, they really enjoy talking about it. They’re happy to talk to someone else who’s really passionate about it as well. And so, I think finding someone who is successful to talk to you about it and to get advise is probably easier than most people think. Ronald: I would agree to that because as a person, acquire a mentor, you yourself would likely be a mentor to somebody else. So you take some, you give some. And who knows, whoever you are mentoring, may end up to be your future joint-venture, business partner, whatever. So, yeah, as long as it’s for mutual benefit and you’re passionate about it, I don’t see that as an issue. You should go for it. Ryan: Yeah, definitely. Well, I think we should close off there. It’s been great to hear your story about all the different things you’ve gone through. It was great to get some advise on – hear about commercial property and your subdivision plans and the mentorship that you have. I really want to thank you for your time, for coming on and sharing your story with the On Property community. I wish you the absolute best in your future. Is there any last words that you would say to people listening who are considering investing or who are inspired by your story, what last words of encouragement could you give them? Ronald: What I would say and this is what my mentor will say to me as well; is that if you are thinking about it, go and do your research, read up and then go for it. Because if you don’t do anything, your situation will not change. You will still be living the same life. Ryan: Yup. So, always do your research and be willing to go out there and have a go. Don’t be too scared and just sitting there doing nothing because you’ll still be the same in 10 years’ time if you don’t take any action. Ryan: All right. Well, thank you so much, Ronald. As I said, thank you so much for your time and I wish you the best in your property journey. Good bye and we’ll talk soon. Ronald: All right. Thank you. Ryan: Okay, guys. I hope that you enjoyed that interview with Ronald. I definitely enjoyed hearing about his story. It was so great to hear how he did well and then he did really badly, but he wasn’t scared to cut his losses and to start all over again. I think that’s something that holds so many people back. I’ve seen it time and time again that people go ahead, they purchase property. They may be get swindled by a property marketer. Maybe they just make a bad purchase or it doesn’t work out for one reason or another, and then they just hold on to that property because they don’t want to sell it and admit that they’ve lost money. So they hold on to it for 5, 10, 20 years in the hopes that it will eventually go up so they can sell it and break even or make a little bit of money. But I was really inspired by Ronald, how he was happy to sell the property, realize that he had made a mistake and then move on with his life. And now, he’s making more educated decisions, he’s doing his research, he’s getting educated and all of that sort of stuff. So, Ronald, I wish you the absolute best in your investing career. Hopefully, we can hear from Ronald in a couple of years’ time and hear how well he is doing with his subdivision plans and things like that. If you want to learn more about how to research an area so you can make educated investment decisions, similar to the research that Ronald is doing, go ahead and check out my course on Advanced Suburb Research. 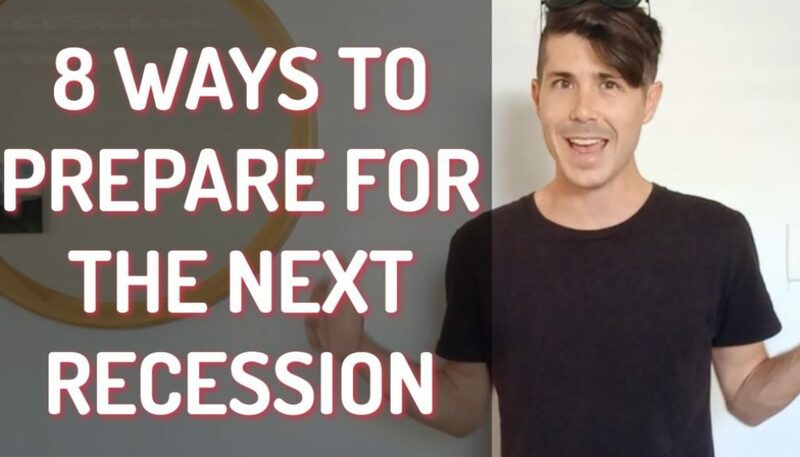 We go through an 18-point checklist on things that you can check out in suburbs to determine whether or not they’re likely to be a good suburb to invest in or not. Simply go to onproperty.com.au/research and you can purchase that course over there. It’s an absolute, extremely valuable resource. One of the best courses that I’ve ever created. Or, if you want to find positive cash flow property, you can check out that course as well. Go to on property.com.au/find in order to see that course on how to find positive cash flow property. So I’ve got 2 courses there that I absolutely recommend that I believe are extremely valuable to people and I get great feedback from them. Let me know and we’ll go ahead and book a time and do that. I would love to talk to you, love to hear your story. So, again, email me ryan@onproperty.com.au. So that is it for today, guys. I hope you have an absolutely awesome weekend. I wish you the best in your property investment journey. And until next time, stay positive. Tips On Budgetting Your Spending	WWRD – What Strategy Is Best If You’re Buying Property With Cash?